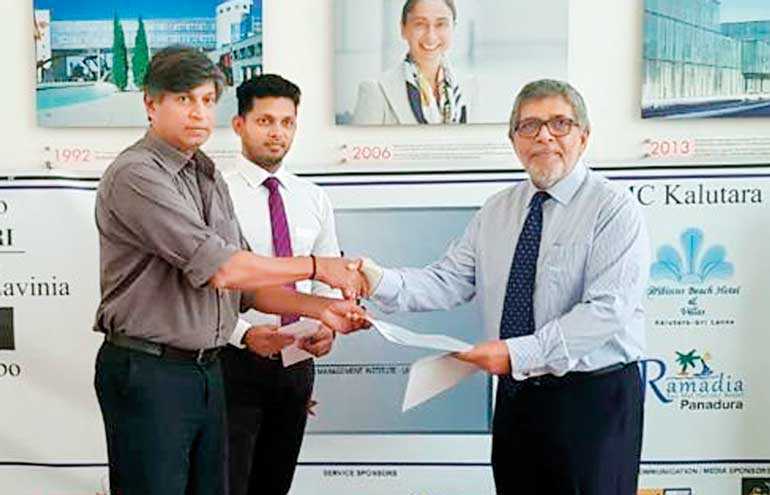 Wurth Lanka Ltd., a fully owned subsidiary of Wurth Group of Germany, entered into a Memorandum of Understanding with Sri Lanka’s exclusive corporate forum The Management Club (TMC) to be its Partner Sponsor for a period of three years. “The Management Club warmly welcomes Wurth Lanka as one of our Partner Sponsors. We are confident that this MOU will pave the way for a mutually beneficial relationship,” said The Management Club Board of Management President Emeritus Fayaz Saleem. The Management Club was set up in 2001 under the auspices of the Sri Lanka branch of the Chartered Management Institute – UK with the objective of uplifting management practices in Sri Lanka on par with best international standards. Initially set up in Colombo with 101 members, TMC has now spread its wings to Mt. Lavinia, Kalutara, Panadura and Negombo with a total membership of over 400 consisting of C-Level professionals and senior managers. Wurth Lanka Ltd. was established in 1998, as a fully owned subsidiary of Wurth International AG of Germany. It has steadily grown to be a significant player in the automotive aftermarket as a premium quality supplier of after care products and services. Having over 3,000 active customers, Wurth Lanka recently diversified into the construction and metal/maintenance industry.